"Riverbend Ranch is a rare and unique 1,918 acre riverfront estate directly on the Weber River. This 16,800 SF home is a showpiece of craftsmanship featuring floor to ceiling walnut bookcases, hand-planed hickory flooring, and hand forged custom ironwork, mostly created on an Amish Farm with an Idaho schoolhouse supplying the reclaimed wood. The great room allows multiple gatherings of family graced by a fireplace, custom mahogany bar, and hand-crafted walnut coffered ceilings. The living space flows outside with pocket doors opening to the river on a stone patio with fireplace, firepit, dining area, lounge area, and spa, all along the riverfront. 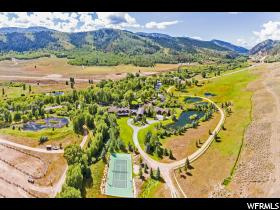 Land your helicopter on the heli-pad, gear up in your outfitters room and fly fish right out your back door, hit the tennis court for a friendly match, or spend the day exploring all 2000 acres on your horse or ATV. The property includes a large riverfront barn meticulously landscaped for entertaining or hosting weddings. End your day with a beautiful sunset on your stone patio, with a fire crackling and the sound of the river rushing by. 25 minutes to Park City and Heber Airport and 50 Minutes to SLC Airport. " 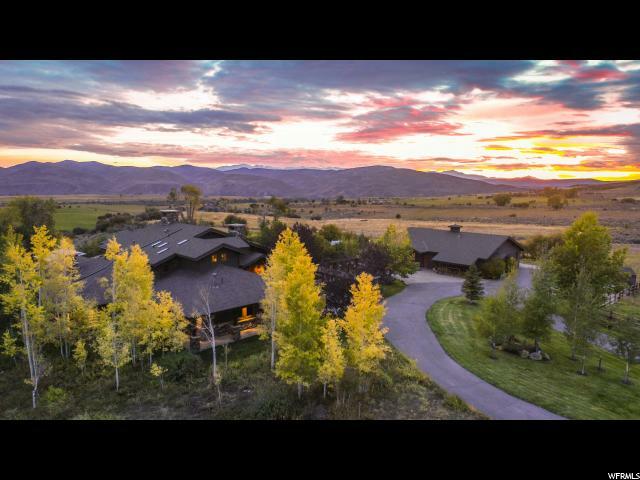 "Elk Meadows Ranch in Oakley, Utah: Exquisite estate on over 8 acres of complete privacy; located at the end of a private gated road, surrounded by large ranch parcels. This stunning home has a timeless feel with plenty of private and entertaining spaces; the four fireplaces add warmth and ambience. Stunning master suite with fireplace, sitting area, washer & dryer and private deck looking towards the mountains. The heated barn features 4 stalls with runs, wash bay, tack room with washer & dryer & bathroom, 2-car attached garage plus an one-bedroom caretaker's living quarter. Outdoor riding arena and three irrigated pastures complete the picture. Kids of all ages can enjoy the outdoor bunkhouse Camp surrounded by the stone patio area, 2 ponds, 2 waterfalls, a fire pit, and horseshoe pit. Don't' miss seeing this one!" "Located just 15 min. from Park City the owner Katherine Heigl describes the property in her own words : We started building our dream retreat in Mapleridge ranches in 2007, by 2009 it was officially finished and we spent our first holiday season in our new space. When building the house we had always envisioned it as a peaceful and luxurious mountain escape. But the more time we spent here the more we realized we didn't want it to just be a retreat we wanted it to be our home. We created a space so luxurious, beautiful, elegant and high-end we couldn't bear to leave it. Not to mention the glory, the peace and the beauty of the property we built on. The views are to die for, the mountain breezes renewing and the serenity of our land just what we needed to bolster our spirits after years of hustling in the busy city. Our home includes everything from a gorgeous second master, to a media room to steam showers a sauna including a spa worthy pool. As you can imagine it's a pretty hard place to leave! But as the years passed we came to realize our home no longer suits our growing family's needs. Our dream for this space is to find someone who will savor and relish all the beauty, shelter, peace and luxury it has to offer as much as we have the last ten years. " "Escape from the commotion of the outside world and reconnect with your family and friends in this stunning one-of-a-kind property. 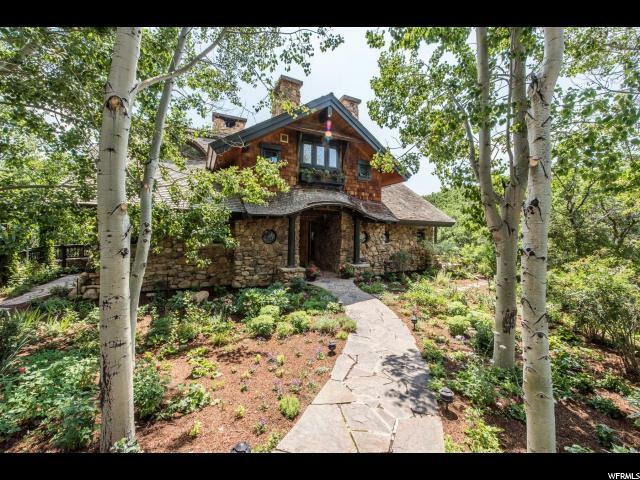 The home's 64 foot long, two-story great room with rustic woodwork and massive stone gas fireplaces on each end, offers a warm and inviting retreat that you'll find difficult to leave. 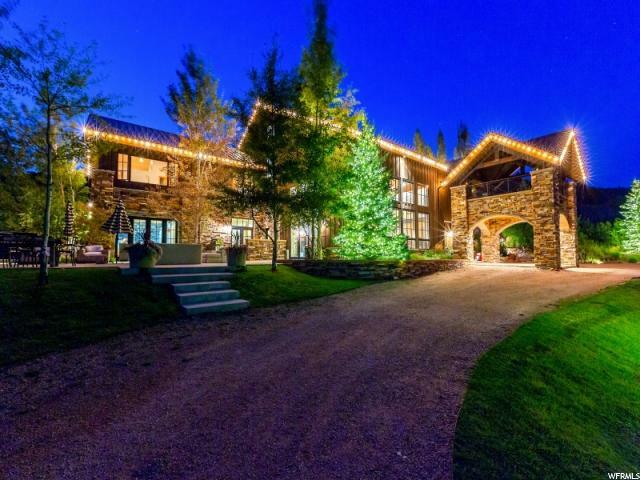 A beautiful mountain location with year-round access, this 11,000 sq. 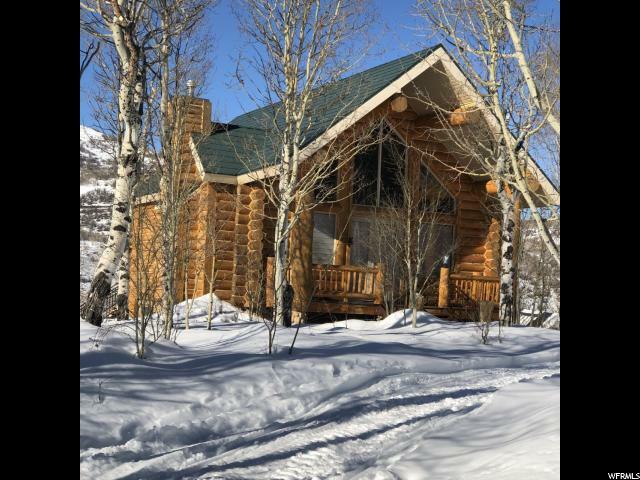 ft. property is conveniently located just 6.5 miles from Oakley, 33 minutes from world class Park City skiing and 56 minutes from Salt Lake City. 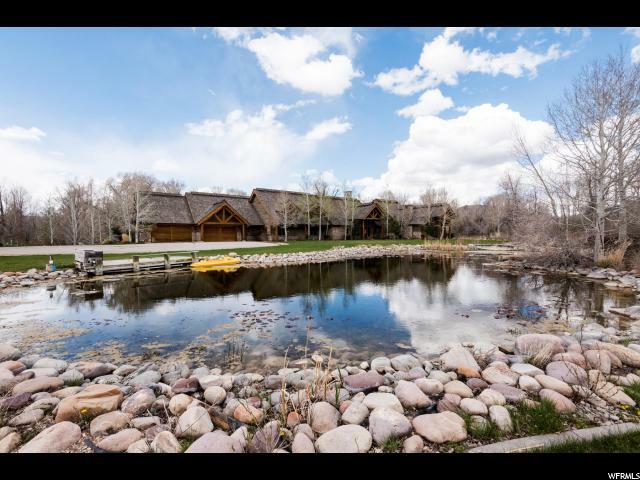 Enjoy panoramic views of the beautiful and private 160 acres, featuring a peaceful pond and serene spring fed creek just a few feet from the master bedroom deck. The entire 160 acres is fenced and features riding trails throughout, offering incredible recreational opportunities for all. With nine large bedrooms and nine bathrooms, this home is the perfect escape for a corporate retreat or family reunion. The home's indoor slide is a huge hit with the kids! 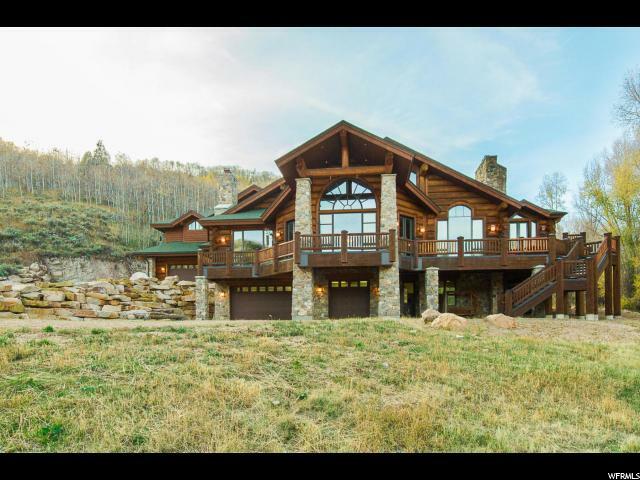 The custom home is meticulously and beautifully constructed using steel beams and imported logs from Montana. The beautiful logs are installed half inside and half outside, giving the appearance of a whole log home. A uniquely designed mud room is accessible from the four car radiant heated garage. Feel safe and secure with a for motion alarm system, doors, CO2 and freeze alert, and a whole house surge protection system. The home can be easily enhanced with an area designed for an elevator, wiring for cameras, driveway wiring for an electric gate and lighting, and plumbing for two freezer drawers in the kitchen. Zoning allows for an additional garage with living space and the property can be divided into two 80 acre parcels. Land values in the area range from $8,000 to $45,000 per acre. Internet is available through the Kamas phone company." 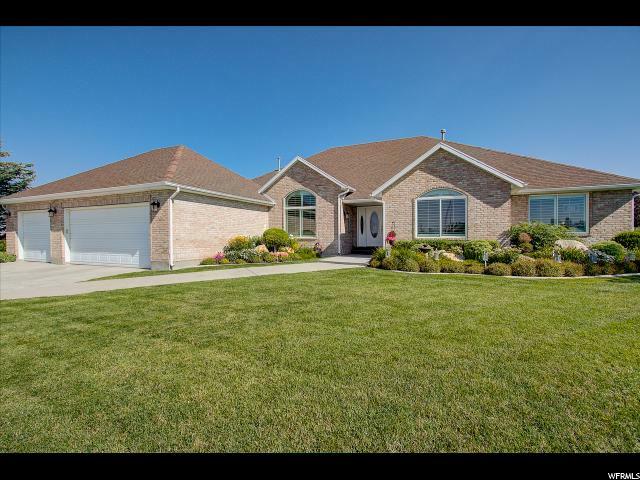 "This beautiful Oakley home sits on an 8 acre parcel with Weber River frontage. 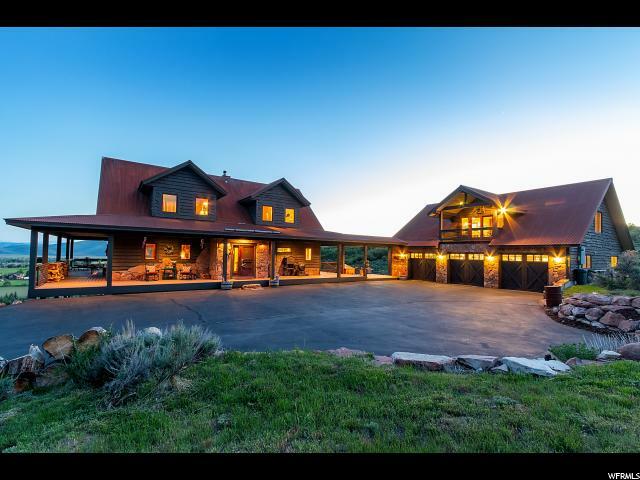 5,850 square foot home, 4 stall barn, and additional huge 62' X 52' heated toy barn! Great kitchen for entertaining with high end (Sub Zero, Bosch, Viking) appliances. Huge back yard for playing and relaxing. Fly fishing on the Weber River right out your back door! This equestrian estate has it all! " 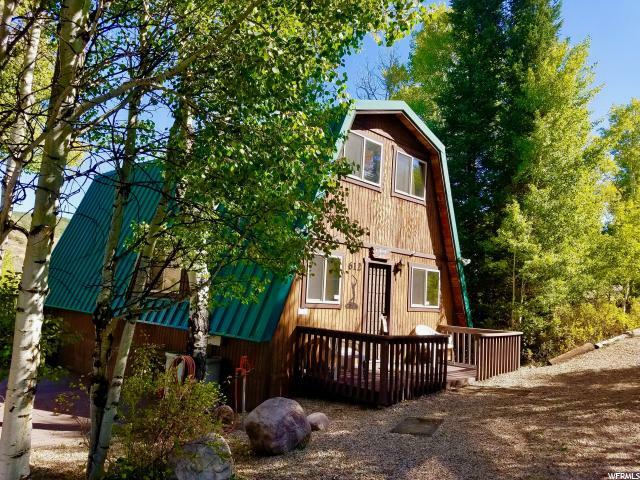 "Great cabin in choice Pine Mtn area. Flat front yard with view up and down the Weber Canyon. Log cut stairway, half log window treatments. Master bedroom and bath can be on one of 3 floors. Big log beams and ceiling. Knotty pine solid doors, tongue and groove knotty pine ceilings. Granite island kitchen. Pine Mtn has asphalt pavement instead of dirt roads. Buyer to verify all info." "Meticulously remodeled home w. vaulted great room sits on a large fully fenced & landscaped lot w. mature trees on a quiet street. All new flooring- hardwood, tile & carpet. All newly painted, newer stainless appliances, new 95% efficient furnace & central air, newer roof, blinds & drapes, garage heater, bathrooms w. quartz counters, toilets, wired for surr. sound & custom barn door. Electrolux induction stove heats & cools rapidly w. conventional & convection oven w. warming drawer. Everything's updated so just come & enjoy! 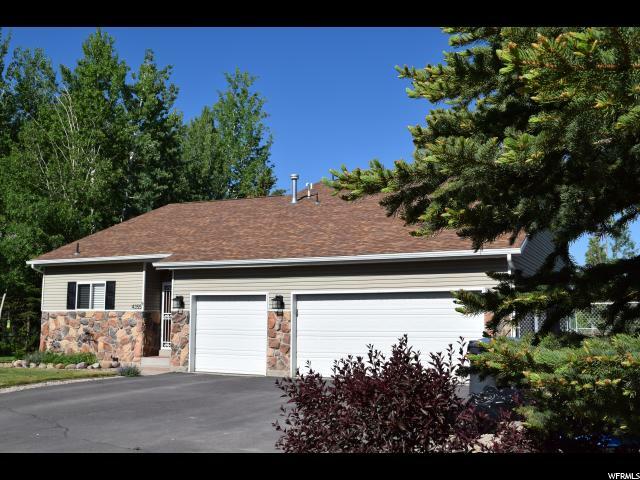 Near Weber River & minutes to Park City & National forest!"